Excellent condition locomotive, test run only. In original, clean box - Made in Germany . Excellent condition, very rare locomotive. Working smoke generator needs to run at speed to get the best from it. Not suitable for DCC conversion. In original, clean box - Made in Germany . Wagon fitted with a Standard N Coupling in an NEM pocket with close coupling Kinematic. 6-Pin socket for easy conversion to DCC Fitted with Fleischmann Profi couplings in an NEM pocket. Excellent condition locomotive - smooth and quiet. In original, clean box. Standard N couplings in an NEM pocket. White Headlight Can be converted to DCC with a chip soldered in. 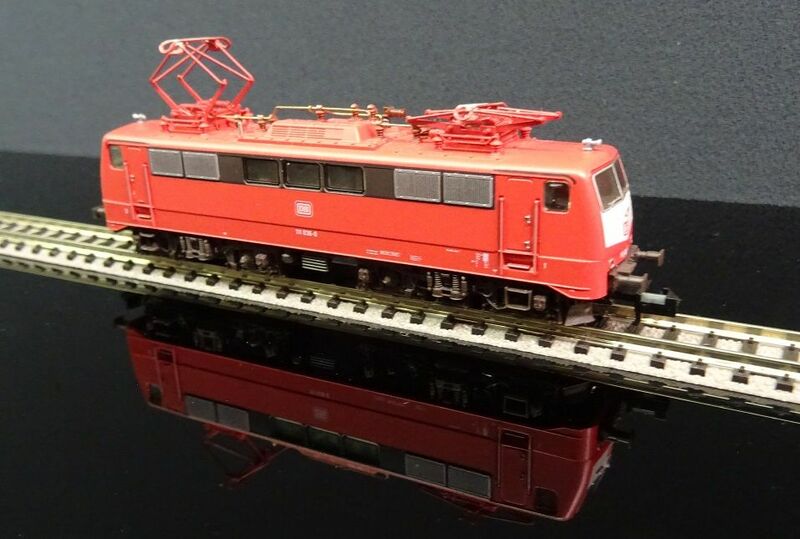 Good condition locomotive Made in the 1980s- smooth and quiet. In original box. Lid of box is cracked. Standard N couplings in an NEM pocket. White directional lights. Excellent condition locomotive - smooth and quiet. In original, clean box. Standard N couplings. White Headlight Can be converted to DCC with a chip soldered in. Excellent condition locomotive, test run only. In original, clean box. DRG Br56 and matching wagons, produced as a "One time series"
Excellent condition locomotive - smooth and quiet. In original, clean box. All fitted with Fleischmann Profi couplings - runs buffer to buffer. 4 standard hook couplings are in the box. White Headlight. Box lid has cracking in the corner. Coach fitted with standard N couplings in an NEM pocket with close coupling Kinematic. Wagon fitted with standard N couplings in an NEM pocket with close coupling Kinematic. Fitted with a 6-pin decoder socket for easy conversion to DCC - Needs a 6-pin with cable we can convert using a Lenz 10310 Silver Mini decoder.